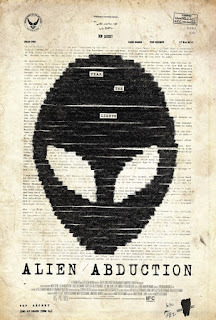 Tag line: "Fear The Lights"
Like many found footage horror films, 2014’s Alien Abduction opens with a caption informing us that what we’re about to see was “leaked” from the files of the U.S. Air Force. Right away, I began to wonder how the Air Force got a hold of this footage in the first place (if the characters were, as the title suggests, abducted by aliens, wouldn’t their video camera also have been taken?). Well, not only does director Matty Beckerman show us how the video became available, he does so in a very creative way. It was the first of many surprises revealed over the course of this highly entertaining movie. To help him focus, 11-year-old Riley Morris (Riley Polanski), who suffers from autism, brings his video camera with him wherever he goes, including his family’s recent camping trip to Brown Mountain, North Carolina. While videotaping the good times that he and his clan, mom Katie (Katie Sigismund), dad Peter (Peter Holden), and older siblings Jillian (Jillian Clare) and Corey (Corey Eid), were having, young Riley manages to capture footage of something quite remarkable: a series of lights that seemingly dance in the night sky. As it turns out, Brown Mountain has a reputation for being a favorite hangout spot for extraterrestrials (some locals believe the dancing lights that appear occasionally are, in fact, UFO’s). But it isn’t until the next day, when they try to drive to a new campsite, that the family discovers just how true these stories really are. Aside from revealing how its footage was “found”, the makers of Alien Abduction also came up with a clever way to explain why the cameras were always rolling (Riley’s coping mechanism for his autism). But it’s the tension this movie generates, which grows stronger with each passing scene, that will really knock your socks off. The trip to the next campsite is nerve-racking enough (the car’s GPS system malfunctions, causing tempers to flare as they drive around in circles on the dangerous mountain roads), yet pales in comparison to what happens when the family stumbles upon several abandoned cars, all of which show signs of a struggle. Along with a few effective jump scares, this scene takes the story in a whole new, and often terrifying, direction. Thanks to its impressive special effects and the solid performances delivered by its entire cast (including Jeff Bowser, who plays Sean, a backwoods redneck who helps the family in its hour of need), Alien Abduction features scenes that are beyond intense, and for most of its running time you’ll be on the edge of your seat, wondering what’s going to happen next. 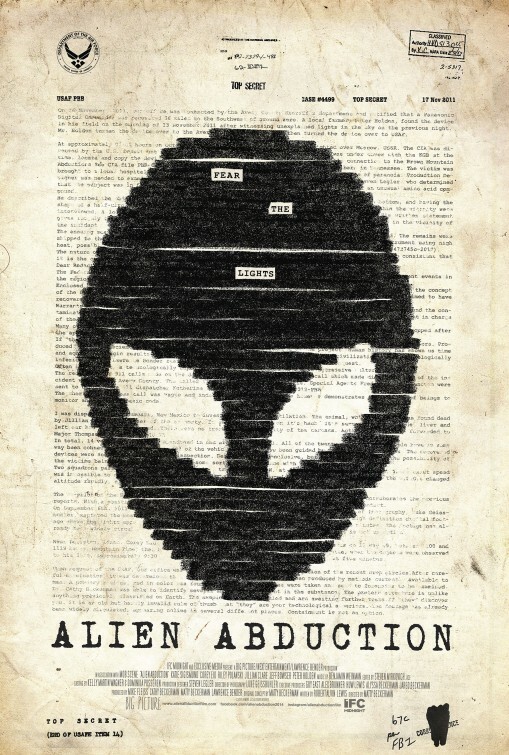 Simply put, Alien Abduction is a fun, innovative sci-fi horror film, and I had a great time watching it. I really enjoyed this film also,one of the better found footage films of late. It was so much better than Extraterrestrial. A real claustrophobic scary film,that shows very little,but still enough to terrify you.